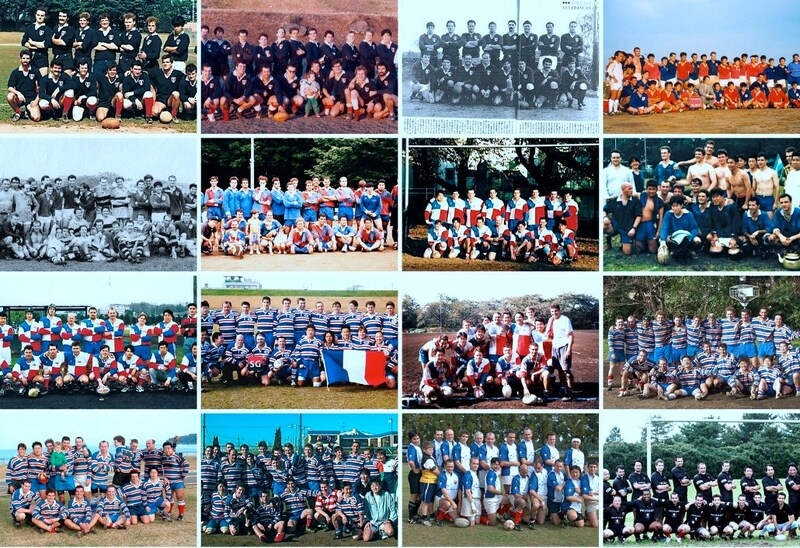 All France Rugby Club was founded just after the first ever Rugby World Cup, in July 1987 by 3 rugby-mad French guys and an Aussie sitting in a bar, looking for a way to get into playing some rugby in their new home in Japan. After more than 25 years later, the club is same as when it started : a group of friends. Players from multiple nationalities have gone through the AFRC jerseys, all kinds of levels and persons. All were however getting together through the “Rugby spirit”: Friendship, engagement and solidarity both on and off the ground. AFRC is composed of around 40 players ( and many non-players, groupies, staff … ;P ) mostly living around Tokyo. We also welcome teenagers who don’t have a club they can join yet, it permits them to train with adults ( and usually outperform them !). The season runs from September to next June and we usually have around 2 games/month, and a weekly training in Takadanobaba.You can have more informations about the different competition we are part of, here ! 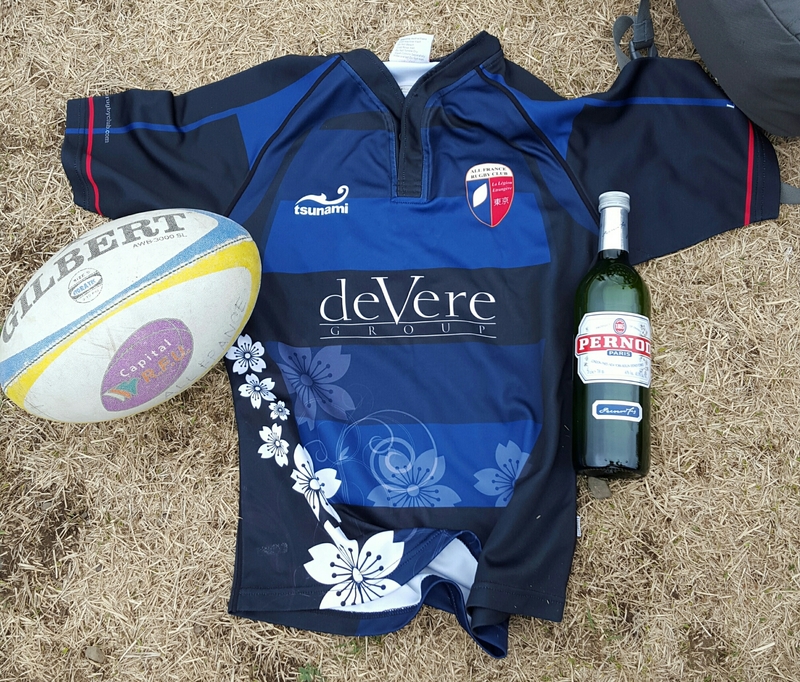 As for most rugbymen, the third half is at least as important as the two first ones, and we organize many parties around the year like the Pena Baiona, a basque party similar to the French, happening at the end of May. 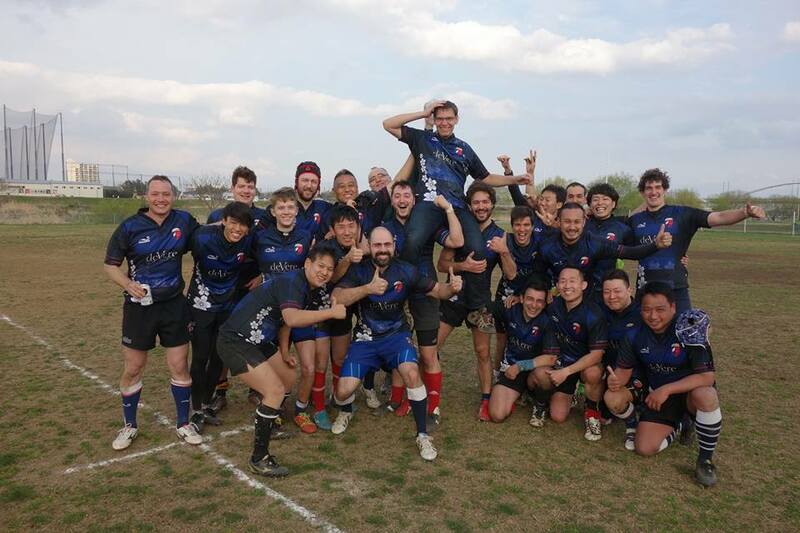 If you want to play, watch or discuss Rugby with one of the coolest rugby club in Japan, please join us for a training or come see our games. No engagement is required ! Unless you get on the pitch, and then, you’re part of the family ! Some of our players were and still are club and university level players, others were first timers and beginners who learned to play as the season went on, helped by the senior players. The team is very culturally diversified and the common thread that binds us is the love of rugby and that makes us a bench of friend. It’s not because we are in Japan that we must leave our French Flair behind, and you’re welcome to take part in it. The French Flair is not something that can be easily described, so come to the training and become part of it ! Since the players are constantly moving (some students, some mates here for few months or years..), the All France has for leitmotiv to welcome all the levels. We spent some years with no defeats, some more complicated, but all of them as friends. Depending on the players we have on the field, we can play totally different levels, but for sure, everyone will have his time on the pitch ! In order to run the team, some volunteers took time on their own schedule to represent AFRC during meetings, manage the finance, take care of the communication, and organise the games logistic.